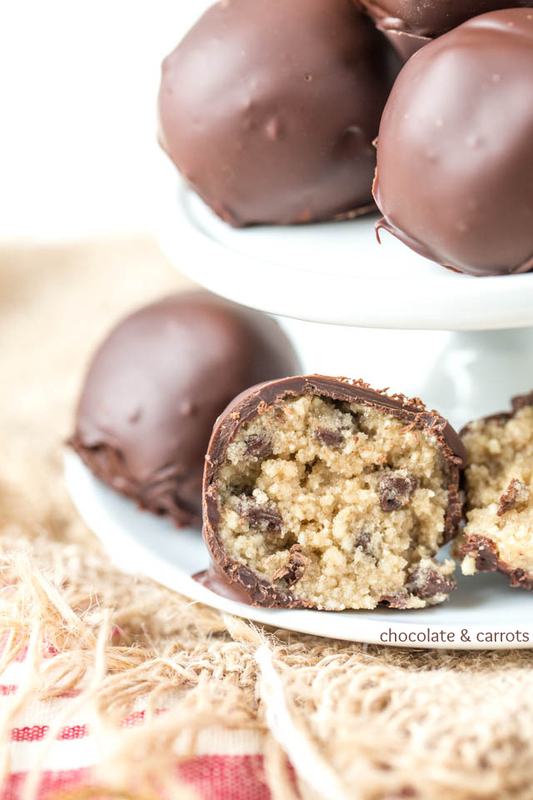 A little sugar, butter and cashew meal goes a long way when making these Gluten Free Cookie Dough Truffles. I have also been practicing tempering chocolate for the first time. I had a few oops moments, but with some help (especially help eating all the chocolate covered oopses) and a little practice, I think I’ve got it! So, naturally I decided to make cookie dough truffles. There is a powerful punch of sweet and savory in every bite. And with the light crunch of the cashews, magic happens. 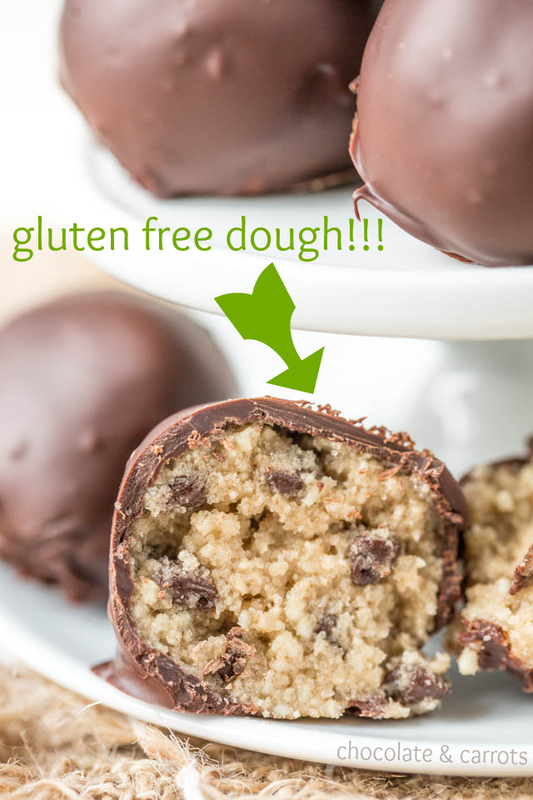 So, here you are my gluten free friends, a cookie dough ball just for you! Now, who’s ready to learn how to temper chocolate? 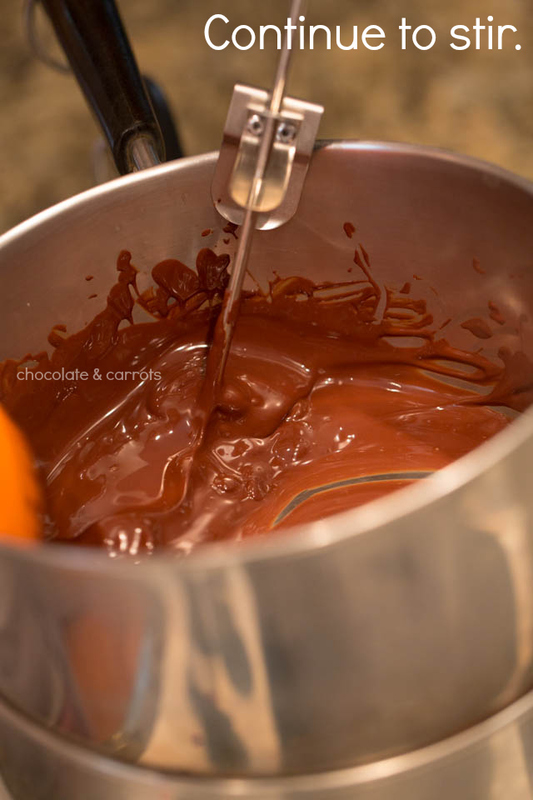 The beauty of tempering chocolate is that the chocolate doesn’t bloom (create the white lines and spots on the chocolate) from over heating and doesn’t require refrigeration to stay hard. 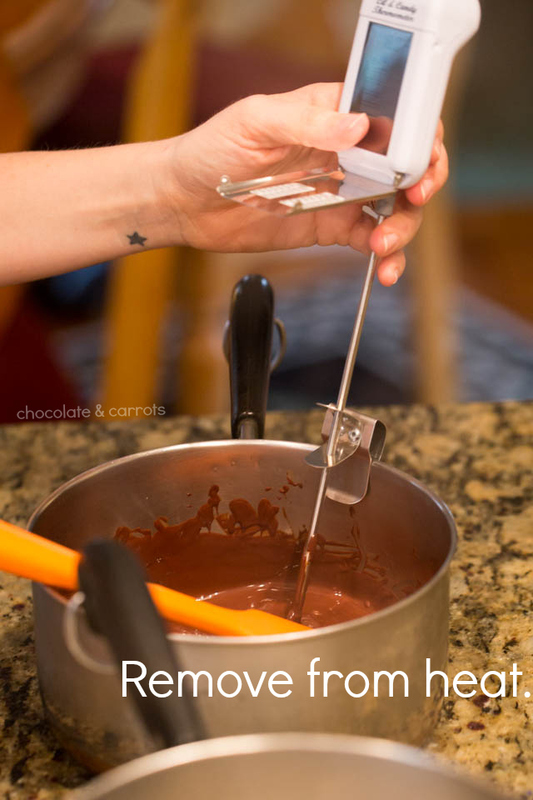 You can keep beautiful chocolate covered treats out at room temperature with no worries! The presentation alone makes for a stunning gift for someone, too. 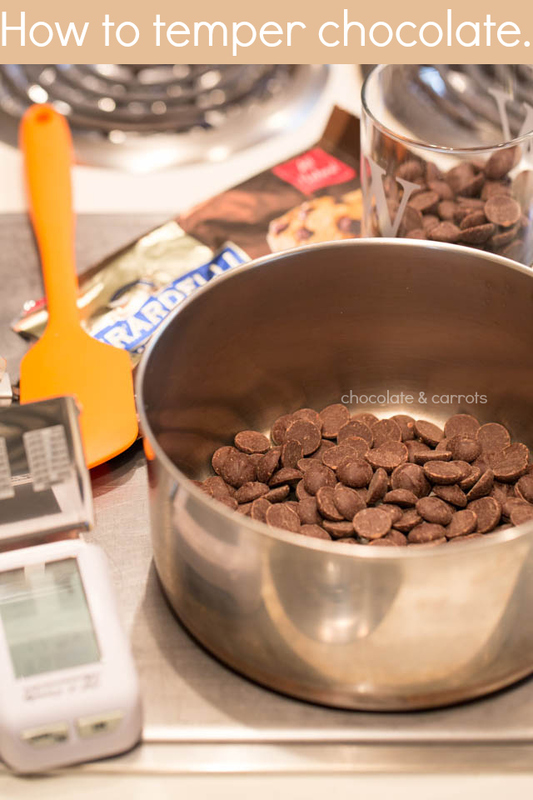 I learned how to temper chocolate from one of the smartest culinary bloggers, Tessa, from Handle the Heat. 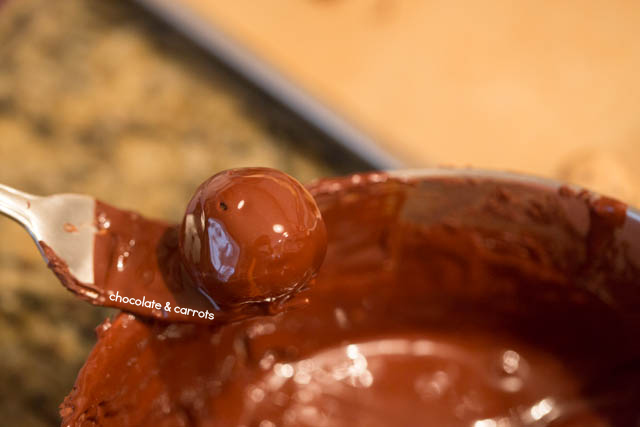 She gives a great video demonstration of tempering chocolate on her blog, but I thought I’d giver you a little photo tour of how to do it, as well! 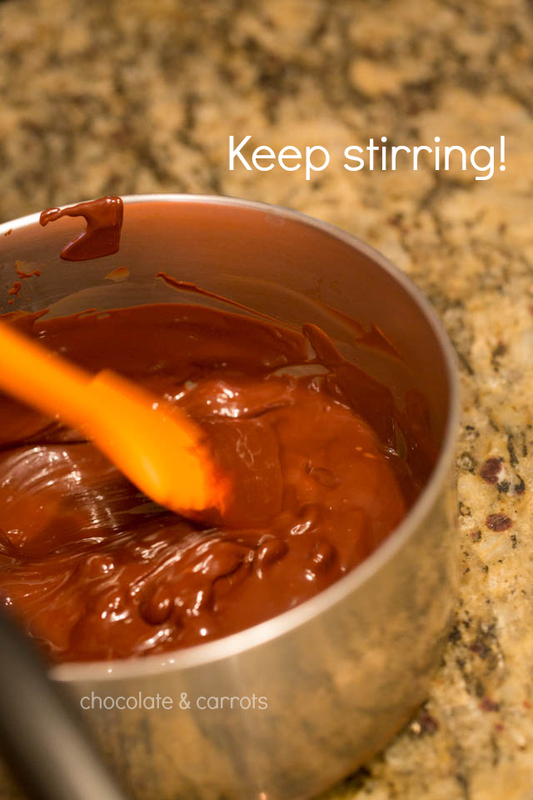 Keep scrolling down for the recipe and detailed instructions for tempering chocolate. Whisk the brown sugar, sugar and butter together. Whisk in the vanilla and salt until combined. With a rubber spatula, stir in the cashew meal until combined. 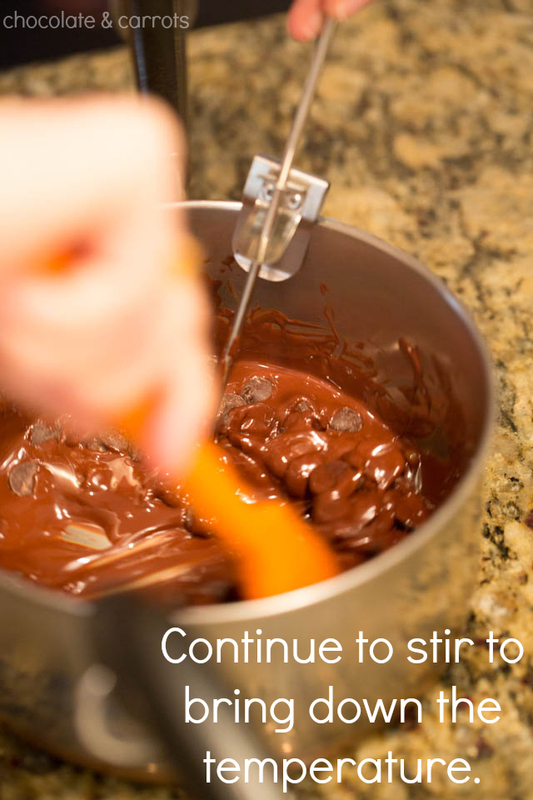 Stir in the mini chocolate chips. 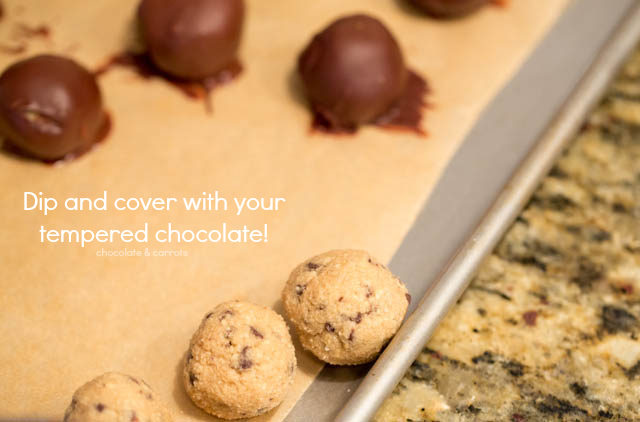 Scoop the dough out into 1 inch balls, roll into circles and place on a parchment or silicone baking mat covered baking sheet. Freeze the balls on the baking sheet for at least 2 hours. 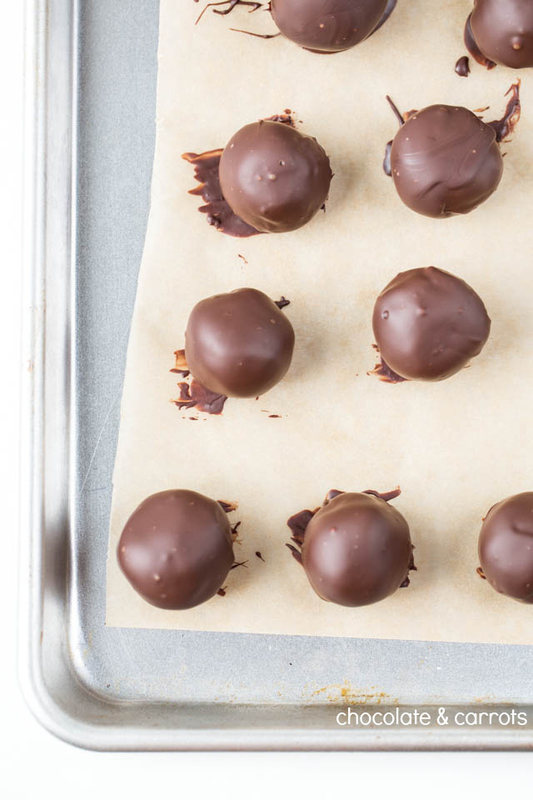 When you’re ready to coat your truffles in chocolate, temper the chocolate. 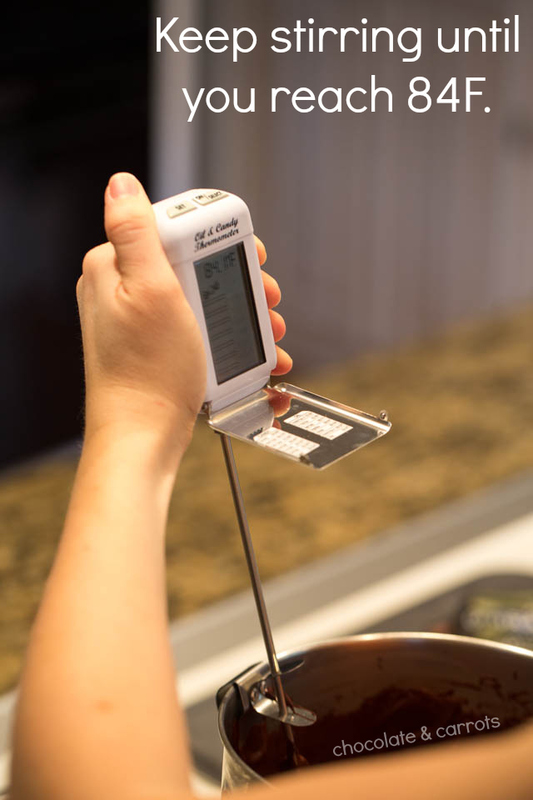 Using a double boiler with simmering water and a candy/chocolate thermometer, constantly stir 2/3rds of the chocolate chips until the temperature reaches 115°F. 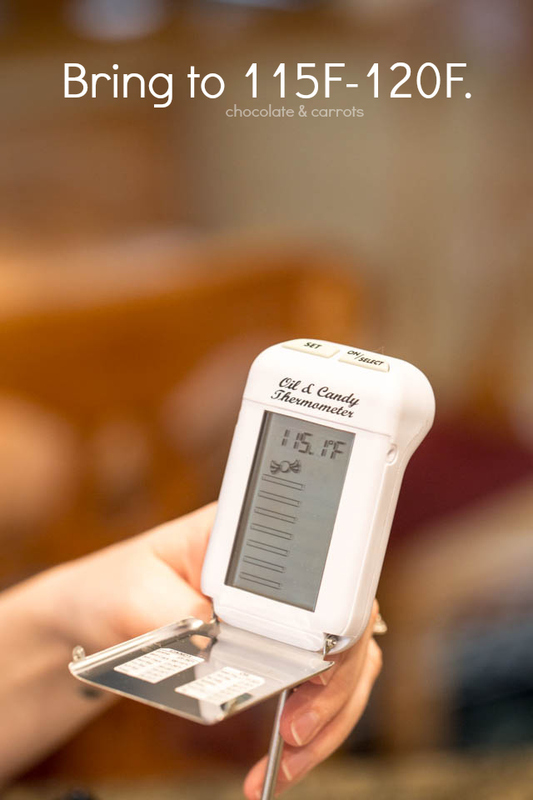 Remove from the heat and do not let it exceed 120°F. 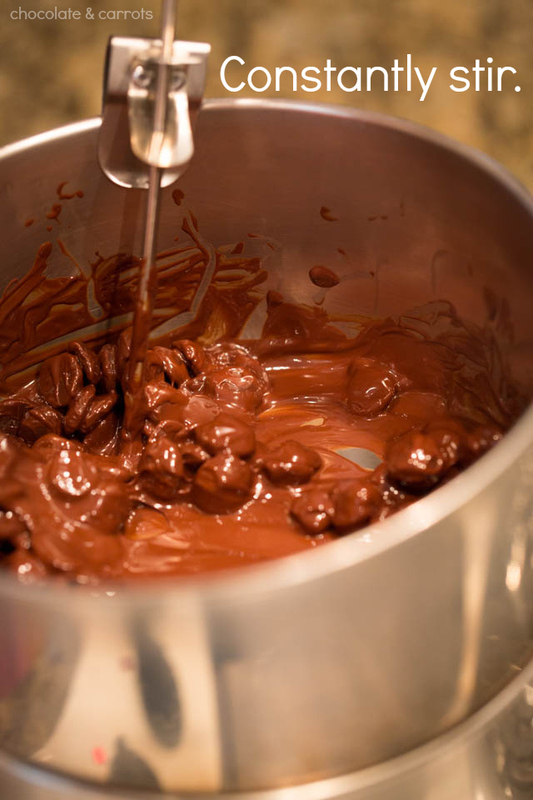 Pour in the remaining 1/3rd of the chocolate chips, stirring constantly until the temperature goes down to 84°F. 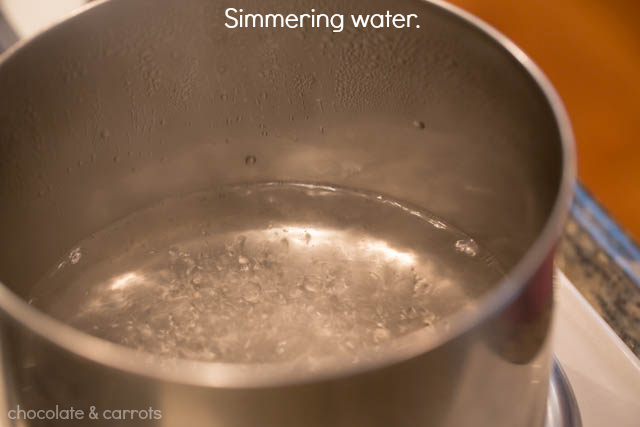 I set the pan on a cool granite countertop to help speed the process, but you can also set the pan in an ice bath. Just be sure that no water gets into the chocolate because it will cause the chocolate to seize. 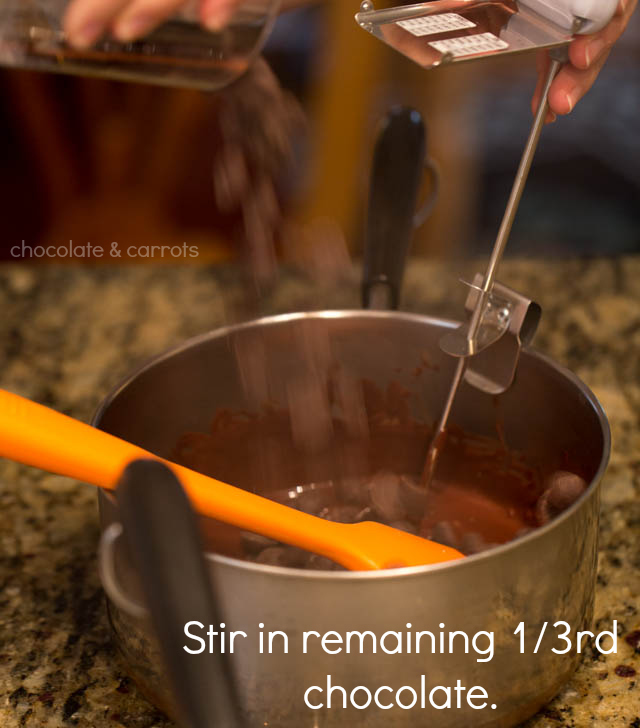 Set the pan back onto the double boiler for no more than 10 seconds at a time, stirring constantly until the chocolate reaches 89°F. Do not allow it to go above 89°F. 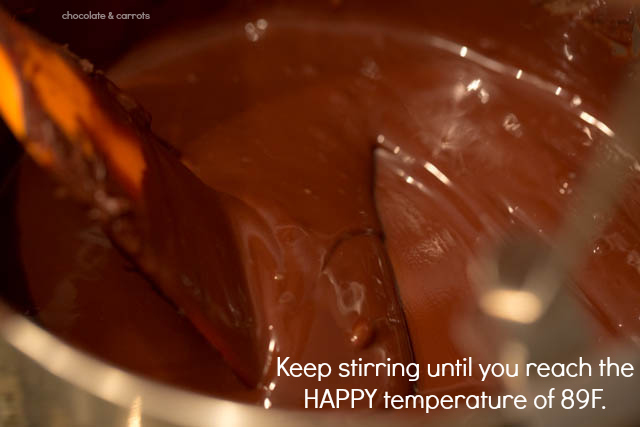 If it does go above 89°F, stir in more chocolate chips and repeat this step to get it back to 89°F. Once at 89°F, it’s time to dip your truffles! 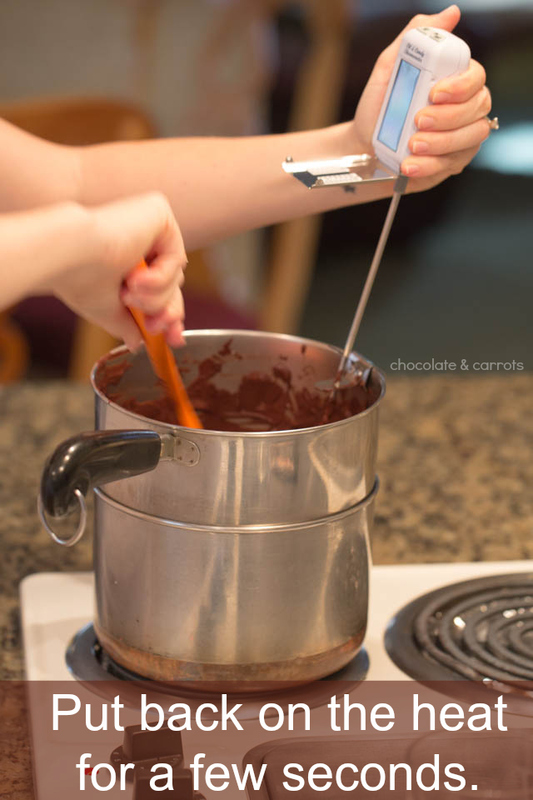 If the chocolate starts to harden, simply put back on the double boiler for a few seconds at a time until it reaches 89°F again. 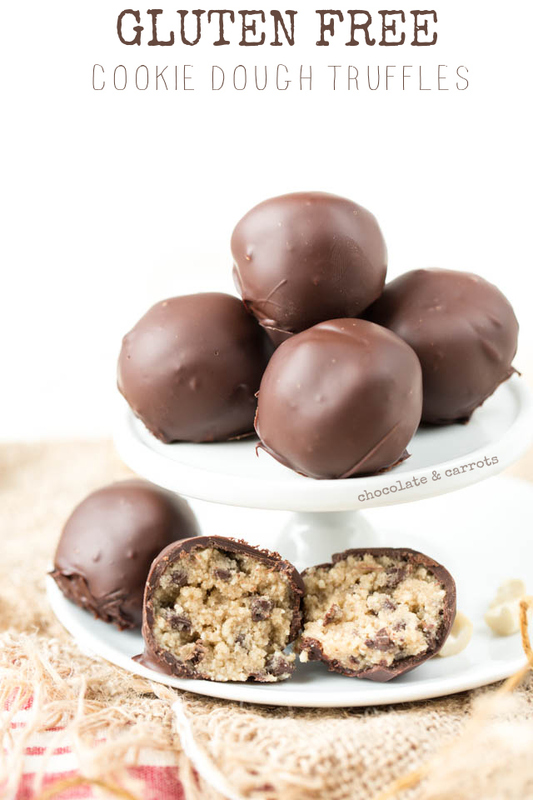 Dip cookie dough balls in the tempered chocolate and place back on the baking sheet paper. Allow to sit at room temperature until hardened. 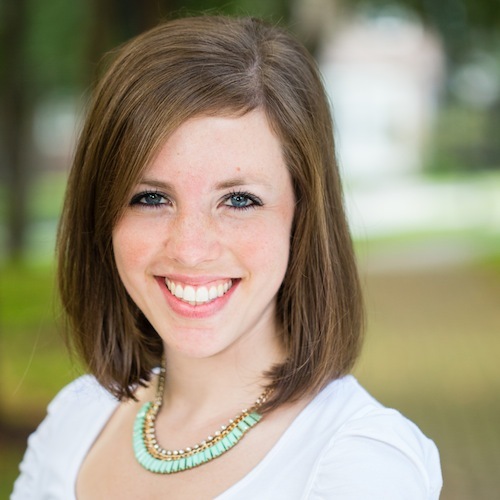 This post contains affiliate links that help support this site. Please read my disclosure policy for further information. That is a great tutorial on tempering Caroline and those look sooooo good! Oh great tutorial, thanks for posting 🙂 will have to give it a go soon! Hi Kelly! Thanks for stopping by and for the compliments. 🙂 As for cashew cheese, I’ve only ever blended cashews and a little water to make a queso-like cheese to put over enchiladas. Oh my, was it ever delicious! Have a great weekend!